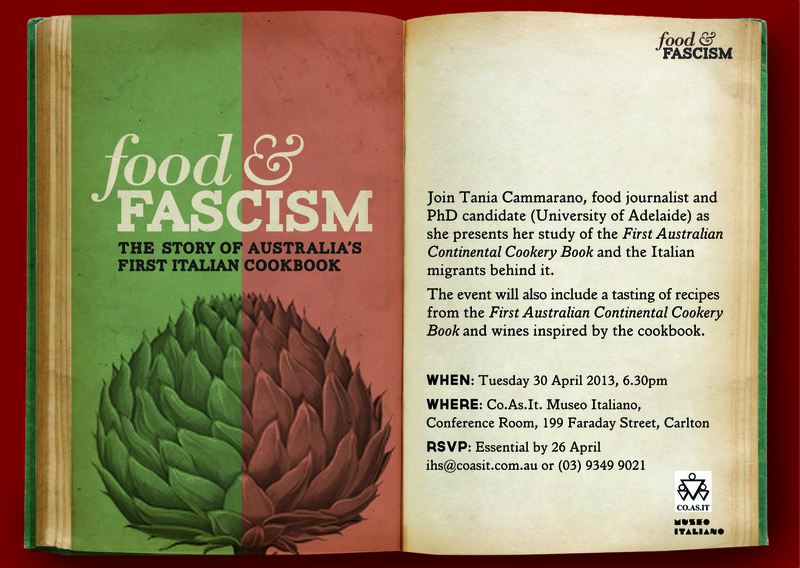 Who wrote Australia’s first Italian cookbook? I gave a presentation on Australia’s first Italian cookbook at the Museo Italiano in Carlton last week, where I baked the Siennese Little Horses again, and am happy to report they came out much better this time (note to self: convert measurements using Google, not own brain). I spruiked the talk and massacred the Italian language again on SBS Radio. And I just posted a guest blog for the Australasian Centre for Italian Studies on who (could’ve) written Australia’s first Italian cookbook. Looking forward to getting on with some new research now, and maybe even posting about it right here… although I wouldn’t want to overdo it right?